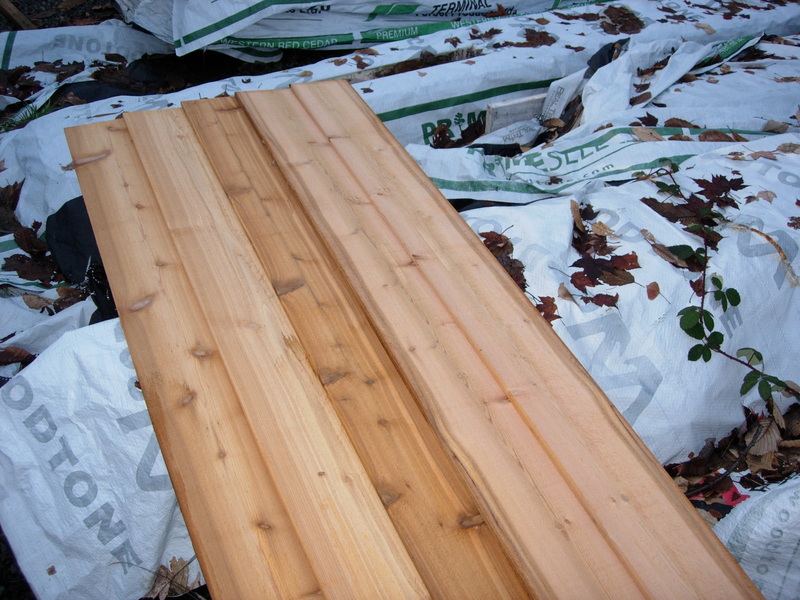 I have a unit of 5/8 x 8 inch 7 foot, and a partial unit of 4-7 foot of a STK (Select Tight Knot) kiln dried Canadian Cedar Bevel. Priced to clearance at $.65 a lineal foot. This is perfect for that nice shed you have been planning for spring. They are 8 piece bundles. 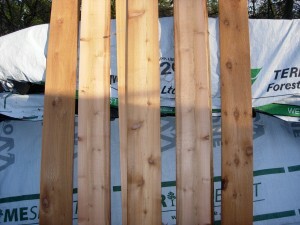 At 6.5 inches coverage to the weather, a 7 foot bundle will cover 30.333 square ft.
You can side side four walls, a 7 foot square shed for $210.00 plus sales tax.